For the longest time, Disney was the mostly unchallenged ruler of the world of animated film, handily dispatching of its competition without much thought. That all changed when upstart studio DreamWorks SKG opened its own animation division, releasing Antz upon the world in 1998, in an effort to directly compete with Disney’s release of Pixar’s A Bug’s Life. Almost 20 years, and several magnificent successes later, DreamWorks Animation has become a worthy opponent of Disney and Pixar’s combined powers, with their latest effort - Kung Fu Panda 3 - being released into theaters this weekend. This is the perfect excuse to run through our top 10 favorite DreamWorks Animation films, and laugh as you may - it was hard to narrow down the list. With well-known gems, deep cuts, and a couple of mid-level hits in the mix, it’s a roster that’s as diverse as the studio’s total history of animated films. So without further ado, here’s the 10 DreamWorks Animation films we love the most - and in the order of their greatness. You can’t avoid the fact that Shrek literally made DreamWorks Animation the success story it is. At the time of its release, the film was the most successful release in DWA’s history, leading to three sequels and a spinoff franchise that made their mark on the world. More importantly, the post-modern approach to animated humor that both kids and adults could enjoy turned the world of animation upside down. To this day, the influence of Shrek can still be felt in the marketplace, and it’s destined to go down as one of the most notable animated films in history. While DreamWorks Animation is now a heavy hitter in the animated film world, there was a wilderness period of films that most audiences don’t remember. 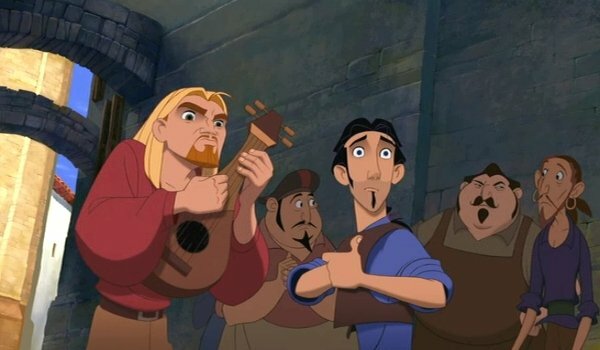 For every Shrek and Madagascar, there’s a Spirit: Stallion of the Cimarron and The Road To El Dorado, and it’s a damned shame, especially with the latter film. For starters, Kenneth Branagh and Kevin Kline play a pair of con men who convince a tribe in Mexico that they’re a pair of gods. Of course, this leads to both funny and harrowing moments - all rendered beautifully in hand drawn animation. But if the humor and adventure don’t completely win you over, the Elton John / Tim Rice songs should help seal the deal. There once was a fruitful partnership between DreamWorks Animation and legendary stop-motion animation house, Aardman Animation. Through this team-up, the studios produced several stellar works - the first of which is the loose remake of The Great Escape we call Chicken Run. 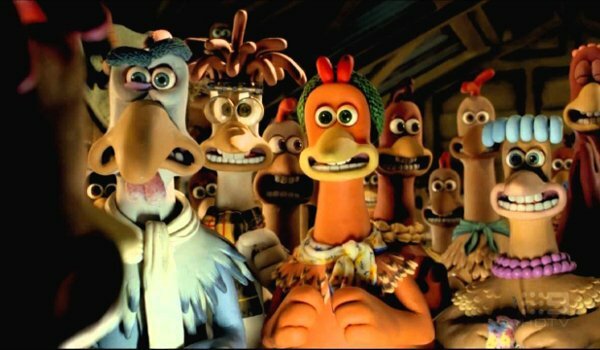 With their trademark British humor being applied as perfectly as any Wallace and Gromit film, Chicken Run also boasted the use of Mel Gibson as Rocky, a cocky American rooster that a colony of English chickens think will be able to teach them to fly. With jokes that fly as fast as a rooster out of a circus cannon, this flick not only kept the kids entertained, but it’s a fan favorite of many adults. Another Aardman collaboration, Flushed Away played both Hugh Jackman and Kate Winslet against their stereotypical roles. While Jackman got to play Rodney, an uptight pet rat that gets flushed into the sewers of England, Winslet was the street-wise Rita, Rodney’s guide through modern city life. Throw in some impressive chase sequences, a healthy dose of slapstick and wordplay, and Ian McKellen as a villainous frog kingpin who’s after some loot Rita stole from him, and you’ve got a surprisingly fun comedy that ups the stakes and blazes through its running time. A talking panda movie with Jack Black as the lead and "Skadoosh" as a catch phrase once looked like the pinnacle of annoyance. Yet when Kung Fu Panda took its first bow in 2008, it proved that the commercials were merely playing to the kids, as the rest of the film was a much more beautiful enterprise. 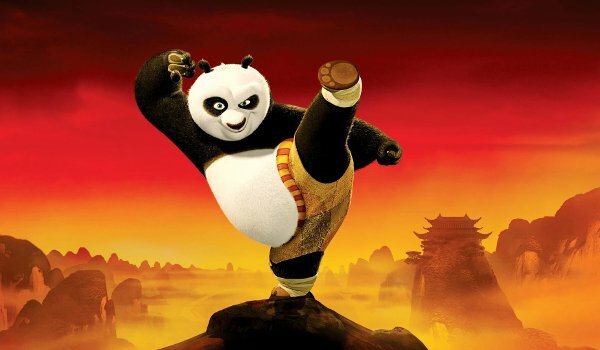 With visuals and story beats inspired by Asian cinema, as well as ancient lore, Kung Fu Panda turned out to be a story of self discovery that just happened to have some kid friendly antics, and a buttload of martial arts action. It’s a series that’s kept on giving in action, as well as story, and it all started with this supremely impressive first effort. Skadoosh indeed, Po. While Shrek was a master stroke of animated storytelling, there was one factor that was missing from its total package: the characters weren’t all that developed. So while we had a really funny movie about an ogre and true love’s first kiss, it was still a film that was more about events than people. 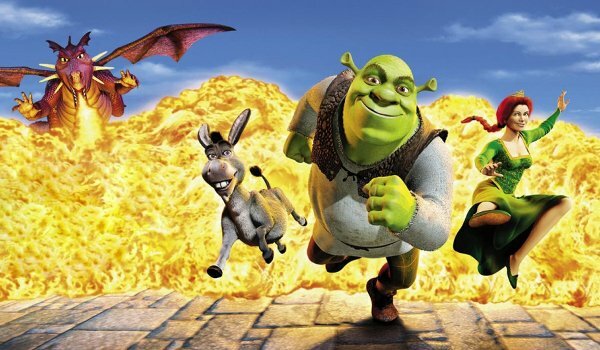 Enter Shrek 2: a film that not only keeps the momentum of events from the first film, but actually dives deeper into the characters we’ve grown to know and love. Shrek and Fiona’s burgeoning romance may have glued Shrek together, but their continuing development as ogres in love was what really made Shrek 2 the best film in the franchise. Well, that and Puss in Boots. Avengers style flicks are all the rage these days, with studios teaming up the figures of your childhood to face down the various, over-powered nemeses you always rooted against. And yet, Rise Of The Guardians never found the audiences that crave films like that, despite being released in the same year as The Avengers. With Rise, a handful of childhood "guardians" like Jack Frost, Santa, and The Tooth Fairy, team up to fight against Pitch - the boogeyman himself. 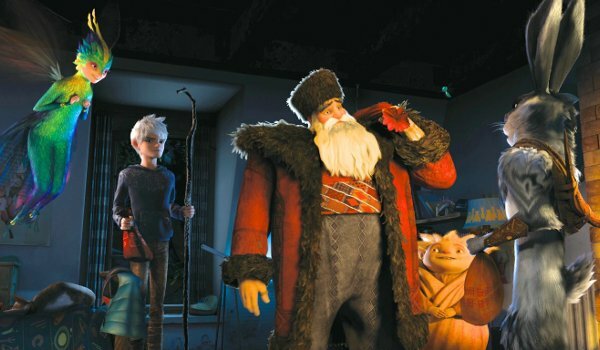 While it’s an adventure film on the surface, the depths that Rise of the Guardians explores when it comes some of the more emotional notes of the story are what really shine. Jack Frost’s origin especially dips its toes into some darker shades of children’s storytelling, lending credibility to the lighter fluff that’s mixed throughout the rest of the film. Much like Rise Of The Guardians before it, Mr. Peabody and Sherman is one of those DreamWorks Animation films that had the misfortune of landing during the company’s current period of turmoil. The chances of this film getting a sequel are not too good, but in a way that’s a good thing, considering how good of a standalone product it actually is. 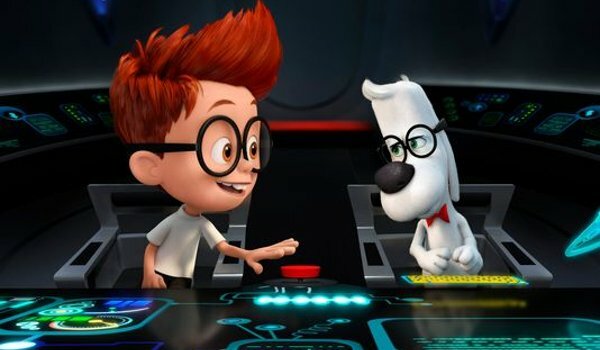 Not only does Mr. Peabody and Sherman mine the source material for all it’s worth, it’s also an emotional origin story about the smartest dog in the world trying to be the best father in that same world. If you don’t tear up during the montage set to John Lennon’s "Beautiful Boy," good luck proving you’re a human. 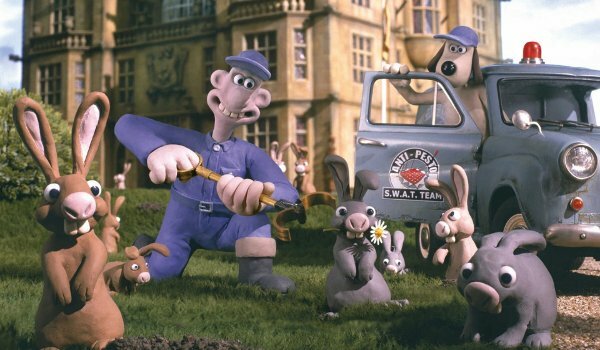 Out of the films that were made during the Dreamworks / Aardman partnership, the best film was obviously Wallace & Gromit: Curse Of The Were-Rabbit. But as history would have it, the feature length adventure of everyone’s favorite short form duo not only maintains the jovial spirit of the original three shorts, it manages to keep that same momentum for an entire feature film. It’s like your favorite TV show becoming a feature length film, only to expand on everything you loved about it in the first place. Come for the contraptions, stay for the vegetarian spin on The Wolf Man. While Shrek may have been the film that built DreamWorks Animation’s foundation, How To Train Your Dragon is the project that cemented DWA’s place in the animation firmament. Of course, it helps that Chris Sanders and Dean DeBlois, the creative team behind Lilo and Stitch, were the minds behind this beautiful, moving film. 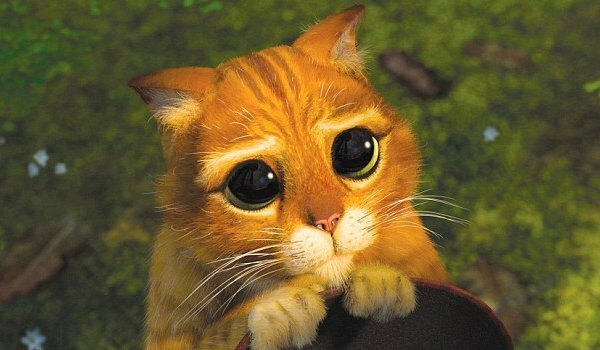 While Toothless is adorable beyond belief, he’s also a well-rounded character that doesn’t need a word of dialogue to his credit. 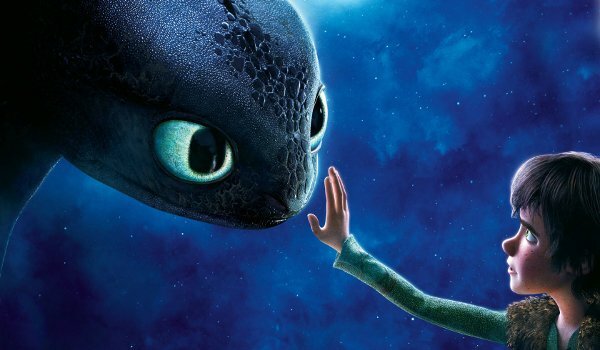 His relationship with Hiccup - played to a tee by Jay Baruchel - is the nucleus for this film, and it’s sequel; which makes the stunning action that propels How To Train Your Dragon all the more harrowing. It goes places a Disney film wouldn’t dream to go, while nailing the rudiments of the Mouse House’s golden era, and it’s all the better for it.